It’s been awhile but we’re back with another addition of the Underground Review. Here at HU we’ve been doing a lot of reflecting. As cannabis normalization marches into the New Year, we are taking a fresh look at what legalization means, how (sometimes if) it should be implemented, and what identity and role HU will take moving forward. 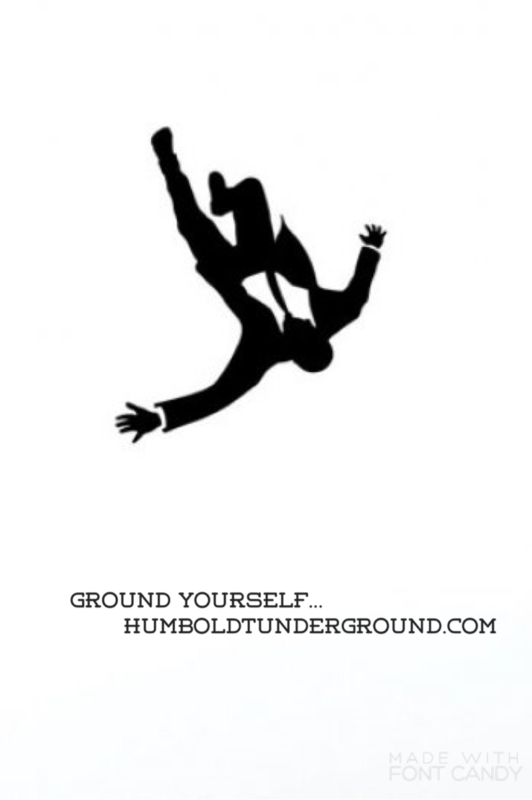 When we first started the Humboldt Underground we held an ideological view born out of the chaotic medical cannabis grey market of California. Our ideological hope was for bolstering the status quo of medical marijuana through legalization (which is happening to an extent). We thought, and still think, the current non-profit cooperative/collective model is revolutionary – it decentralizes cultivation and sale of cannabis while holding mainstream big business (and investment) at bay (albeit it makes the industry difficult to regulate). Nonetheless, this ideological hope inevitably met the material reality of western socio-political and socio-economic systems. With the passage of the Medical Marijuana Regulation and Safety Act (MMRSA), the current cooperative/collective model is set to expire one year from a date the yet to be created Board of Medical Marijuana Regulation (BMMR) makes an announcement to this end. For profit medical cannabis sales will began January 1, 2018 and all sellers and producers will have to obtain state issued licenses (more info here). This new act, combined with potential legalization in 2016, has sent Northern California into a stir. In local headlines just last week, the day after the State of the Union address, directly above a picture of Obama waving from the podium, you guessed it: weed, cultivation ordinance tension to be specific. In the shadow of MMRSA and in the headlights of legalization, city and county governments have been tasked with facing the proverbial elephant-in-the-room and bringing the cannabis industry into the light. Currently they have until March 1, 2016 to establish local guidelines (although this date is expected to be amended). This has sent local governments into frenzy, with many opting to ban all sale and cultivation in a hasty bid for time to contemplate legal weed. In Humboldt, CCVH has given the county a head start (thumbs up) and Humboldt (including the Emerald Triangle) seems to be further along than the rest of the state (as we should be). However, this doesn’t make the process any easier. In our current epoch the cannabis plant resides at a unique crossroad. Agriculture, nutrition, religion, resource management, medicine, art, fashion, gastronomy, academics, law, politics, athletics, and alternative lifestyles all intersect with the plant. From Miles Davis to Michael Phelps to President Obama, we all smoke weed – even Newt Gingrich said it’s the thing to do! The plant can ease sore bones, cultivate creativity, be processed into fuel, stimulate conversation, symbolize a culture, or simply make dinner more enjoyable. The vast utility of the plant is still unknown due to years of culture war – stigmatizing, scapegoating, and excluding the plants supporters. Now mainstream – TIME dedicated a special edition to cannabis legalization – consumers want to devour Northern California’s normalizing cannabis industry and culture, McDonaldizing and Disneyfying as they go – everything in neat tidy boxes. Will Humboldt’s cannabis farming forefathers go the way of Burt of Burt’s Bees? What role do younger generations play with cannabis legalization looming? How do we walk the line between saving Humboldt’s cannabis industry and staying true to our community, values, and culture: our elders? We’re all standing on the shoulders of giants (unknown and otherwise) and due credit is deserved. HU is dedicated to this end and as the Underground Review trudges on to its inevitable fate – legalization – HU will continue to unearth the people of our emerging cannabis industry. We’re back with another addition of the Underground Review… lot’s of things have happened over the last few weeks, but first, we’re not done with Steve Dodge’s article – Left With Nothing – in the views section of last weeks North Coast Journal (see Underground Review – July 22). Mr. Dodge has received harsh criticism and backlash in every Note to Editor section HU could find over the past couple weeks (Note: HU does give props to Steve for having the courage to contribute, he has started a conversation Humboldt must begin). This article has become a prime example of a serious divide that exists in Northern California’s cannabis farming community. In the article Mr. Dodge breaks down how legalization will leave Northern California’s cannabis farmers earning roughly $40k a year, which Mr. Dodge feels is too low. As HU pointed out, Mr. Dodge (only) accounted for a one-crop yield per year in order to come up with his $40k figure. This figure is off because technologies such as light-deprivation and supplemental-lighting allow cannabis farmers to pull off three runs (crops) a year (in most regions of California). But this wasn’t the only error in Steve’s math, as was outlined in letter after letter in the Mailbox section of the NCJ. Not only was Steve’s math off but his article lays bare the dissonance that exists in some cannabis farmers. First of all, $40k a year is on par with Humboldt County’s median yearly income of $41,426 – this figure provided by (lock your doors) the Census Bureau. It’s definitely shy of the $61,094: the median income of California’s entire population. We all definitely support closing the income gap and most of the criticism is not with Steve’s desire to make a living. Ours’ and others’ gripes are with the disconnect between Steve and the agriculture/small business community in general. A quick glance at the Internet shows the median yearly income of family farmers in the U.S. at roughly $80k (2003) with some small farmers netting $16k. We guess that most people feel that family farmers deserve to make close to $80k. Nevertheless, looking at this from a farmers perspective reveals the flaw in Steve’s logic – and the divide between some cannabis farmers and farmers in general. If a farmer can make $40k a year from 2,300 square feet of land (every four months as HU has demonstrated), then that’s a happy farmer because he or she can use the extra time and/or space to grow, raise, or produce a number of other products/services. For example in the April edition of Emerald Magazine, Emily Hobelmann Reviews two strains from one of the first cannabis farms to brand themselves in California: Happy Day Farms of Northern Mendo (they have a website too! happydayfarmscsa.com). So, does Happy Day Farms mono-crop cannabis flowers? No! No way! This farm, as Emily so eloquently puts it, “is a small family farm … producing high quality, small-batch medicinal ‘Craft Cannabis,’” – and wait – this is in addition to “pumping out” produce and poultry year round. Not impressed? Happy Day Farms also runs a CSA program (buy a box! – and some bud if you’ve got a 215 rec). HU is ripe with pride for our neighbors! Good work Happy Day Farms (thumbs up). So you see Mr. Dodge… this is the model, Happy Day Farms gets it… and its not that HU doesn’t feel you, but we all have to get on board because this ship is sailing and all dead weight is going to get thrown overboard. What we all might loose in income, we will gain in peace of mind. And Mr. Dodge, HU doesn’t mean to harp on you, just think of us as contemporaries who have your best interest at heart! Now that last month is straight, let’s get back to this months business. This addition of the Underground Review has expanded the scope of the reviewing process. This week, we’re including: everything – including things we got in the mail, chocolate wrappers that magically appeared on our coffee table, random things people said to us, and of course, everything we read in the local media.